Here’s my best of the sales, I’ve somewhat over indulged this past week or so, but it more than makes up for the fact that I hardly ever shop at full price, and more so always second-hand. So when the sales start, I admittedly turn into a bit of Shopaholic! My beloved Kirstie Allsopp was sadly destined for the sale, although not the whole range, only snippets. 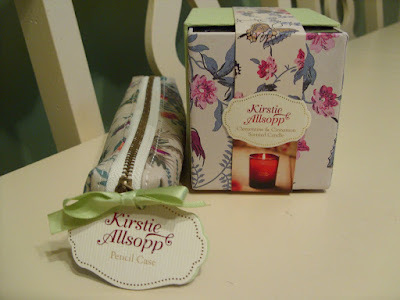 I picked up this pencil case and scented candle for a fraction of the original price. I headed straight for Celia Birtwell’s timeless range at Boots, I picked up a treats jar, something that wasn’t featured in the catalogue, so was more than thrilled to stumble upon by chance. I also couldn’t quite resist coming home with a photo album and keyring. 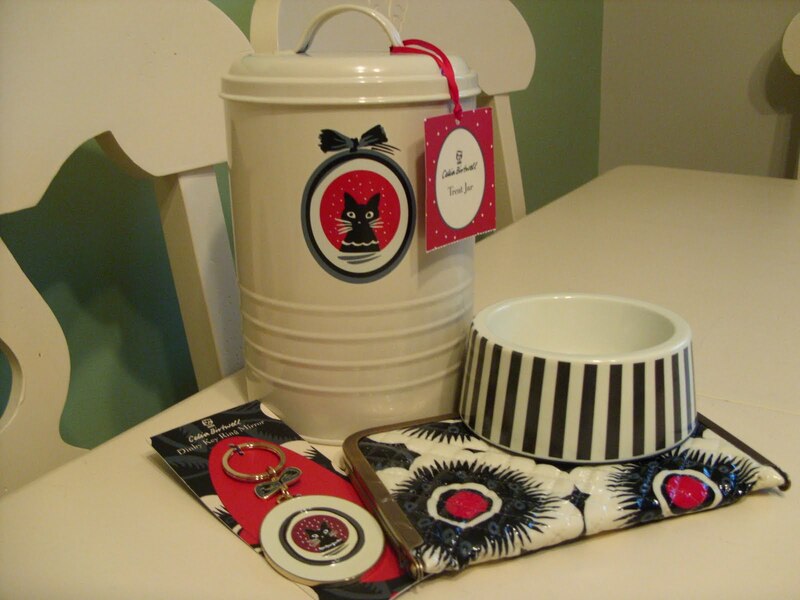 Jasper also got lucky, with a Celia Birtwell cat bowl. I also bought the Liberty Hello Kitty eyeshadow compact. 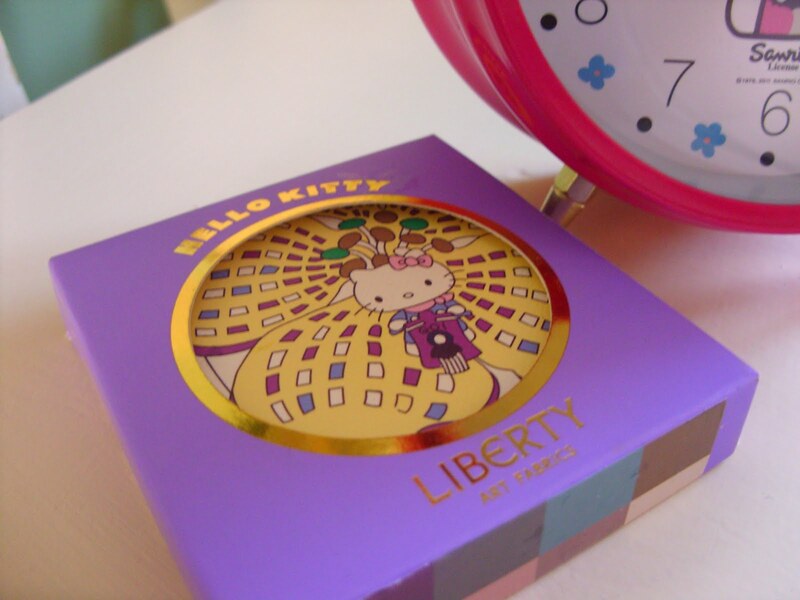 Combining my love of Hello Kitty and Liberty together, this makes for a great collaboration. We may already have a kitchen full of tins, but that didn’t deter me from buying these cutesy tins. I've already stashed one of them full of ribbon and fabric scraps. 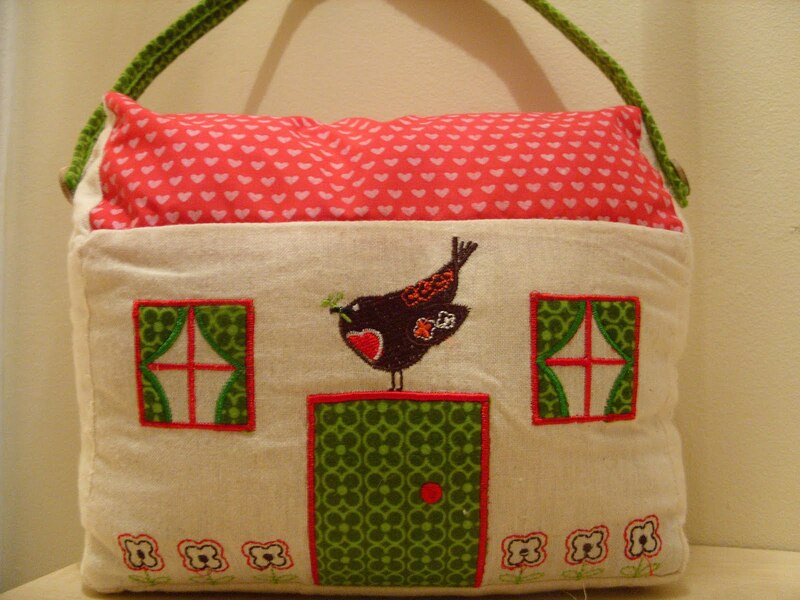 The doorstop sure is a beauty; I can’t help but admire the embroidery and wish I lived in a house just like this. I had no intentions of purchasing perfume, but when I spotted these Smurf perfumes selling so cheaply, how could I possibly resist! My boyfriend was slightly concerned about me smelling like Papa Smurf, but hey I don’t reckon that’s such a bad thing after all. 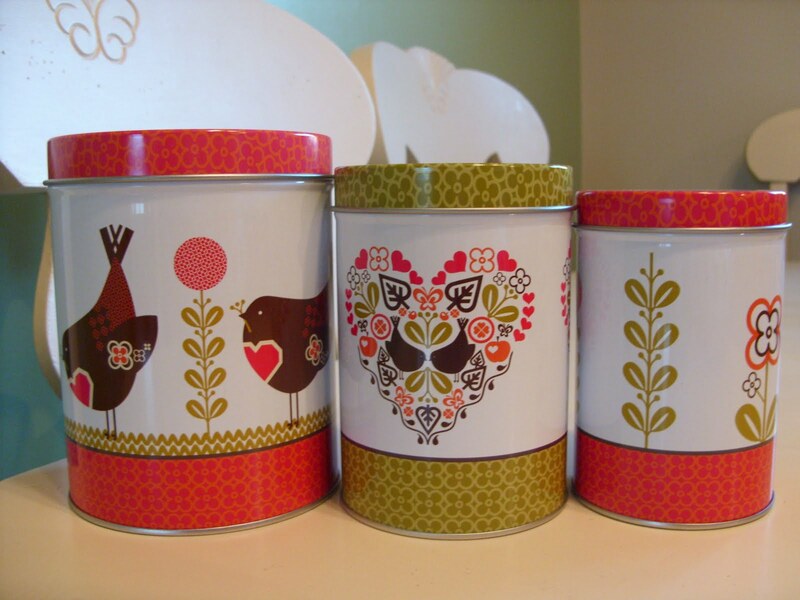 The Wilko tins are adorable! I really love the middle one of the set of 3.. I am really really wanting to go to wilko this weekend now!! Naughty Alice making me want to shop! I shouldn't really. I promised Pyf that I will be on a no spend for 2 months after the early birthday present he's just ordered me. Ohh, what truly amazing finds! <3 I love love love the kitty cat jar! I had no idea that Wilko sold such nice stuff! I will have to have a peek! Hehe those smurf perfumes made me chuckle! Didn't realise stuff like that existed! What do they smell like? Oh how lovely is that door stop! Love the packaging for the smurf perfume - can't imagine how any of them would smell though. 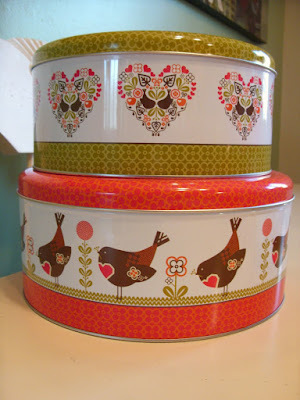 the storage containers are adorable and I love the doorstop!! I've been very good and kept away from the sales but you've certainly bagged yourself some bargains! Oh my those are so cute! 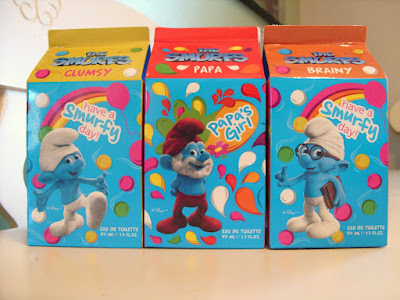 especially the smurfs perfumes, lovely packaging! i probably would buy them myself! You found some adorable stuff :) I love that pencil case, and the doorstop is really nice too! This year I've only bought 1 thing from the sales, weird! I love your sale finds. I saw some Celia Birtwell and Hello Kitty stuff in Boots and was really tempted but my local Boots only had a few bits. I love the eyeshadow compact and treat jar!